I take the train from London up to this West Yorkshire city, nestled in the eastern foothills of The Pennines and immediately realise that Leeds is a city with a real spring in its step. 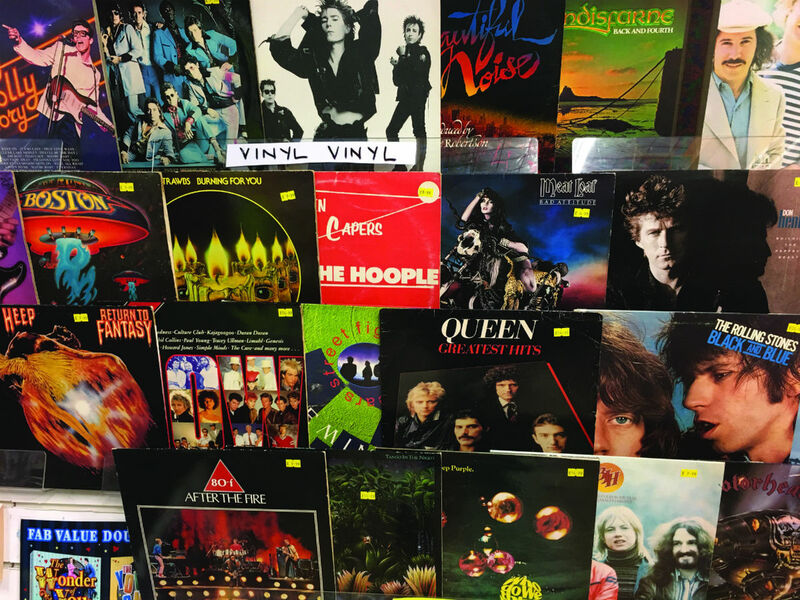 With a population of close to 800,000 and proud of its industrial past, there’s also a lively sense of regeneration in the air and a thriving vinyl scene, too – including a couple of respected monthly record fairs. Tourism is big business here – people like me helped generate £1.6bn in 2016, up 10% on the past four years. The council is focused on a bid to be European Capital Of Culture in 2023, which bodes well for more regeneration – and more record shops! Ian Feasey, the owner of this Leeds institution that has been here since 1990, says the age of his customers has almost halved in the past decade or so. “It’s the 17- and 18-year-olds now,” he tells me. 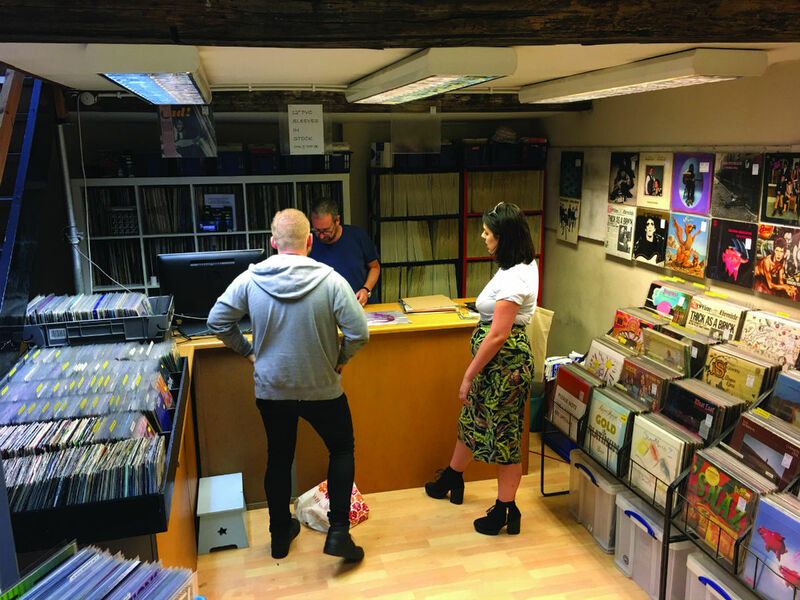 “We get lots of students and what they’re buying is really eclectic.” That’s handy, as Ian’s vision for the store is a simple one: a place to browse, and not the sort of venue that attracts only the collector. He uses the term ‘old-fashioned’ and, although the decor is modern, bright and inviting, there is a comfortable air about the place, which is divided into two departments with largely CDs and the like on the ground floor and a big vinyl basement. Everything is nicely categorised and prices are keen, with an interesting sales section that inevitably captures my eye. Ian says he has come across a beautiful copy of Please Please Me by The Beatles, which looked as if it had been made yesterday and went for a tidy sum, but those super-rarities are perhaps the exception. “We sell the classics, mainly,” he says. “There’s no let-up in interest for the steady sellers. I sometimes get people coming in looking to make an investment and I try to tell them to buy what they like and see what happens!” I take Ian at his word and, passing on a whole range of more obvious fare, find myself picking up a brace of interesting 7″s – Fiddler’s Dram’s Beer Cart Lane, Joe Jackson’s Sunday Papers and Toni Braxton’s Another Sad Love Song – all in pristine picture sleeves. The 12″s yield the rather marvellous Never Too Late To Love You from synth-pop one-hit wonders Kissing The Pink and Don’t Let Him Steal Your Heart Away from Phil Collins – a 12″ I have never stumbled across. The LPs throw up Pluto’s Again (released for the reggae star’s second and final UK hit in 1982), Mud’s Mud Rock set from 1974 on RAK and a very nice gatefold copy of Elton John’s Live In Australia, recorded with the Melbourne Symphony Orchestra. 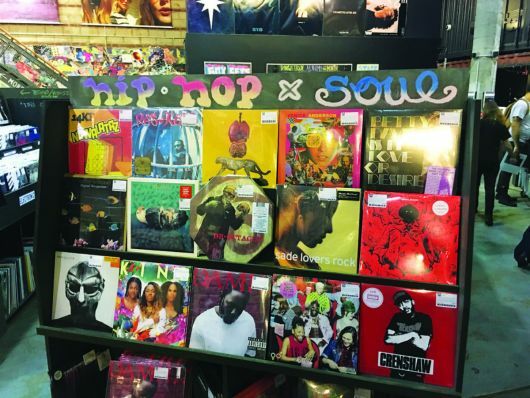 It’s a common theme that, in today’s tough retail environment, many record shops look to a sideline to support their main business. Nestled right in the city centre, SingleShot is a generous-sized premises (a former hairdressing salon), with a reputation as strong for its coffee as for its LPs and 45s. Opening at the end of 2016, it’s developed a loyal following from shoppers wanting a quick caffeine fix across the week, with Paul Raper and Rob Tierney, who had worked at the city’s HMV, deciding this was the perfect site to go it alone after months of searching. Talking of the 1980s, I have a heart-stopping moment when I spot a very rare copy of a Pet Shop Boys release up on the wall. The 10″ of Love Comes Quickly, complete with poster, isn’t a cheap addition to my collection, but the price is fair and I’m thrilled. 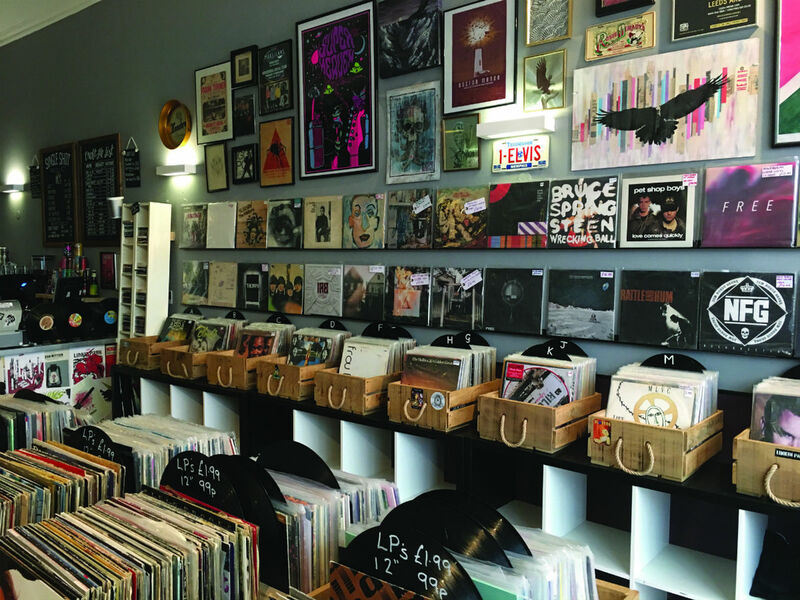 This store is a rite of passage for Leeds’ music fans. Everyone has a story to tell about this place, acting as it does as the hub for the whole region’s live scene. 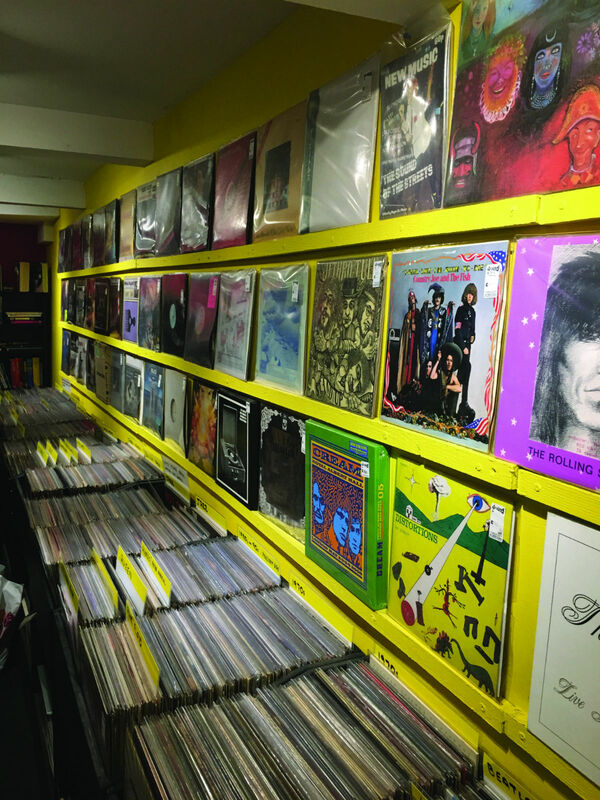 Tucked away in a dated mall just north of the main shopping area, Jumbo doesn’t carry much second-hand vinyl, but everything else is here in abundance. 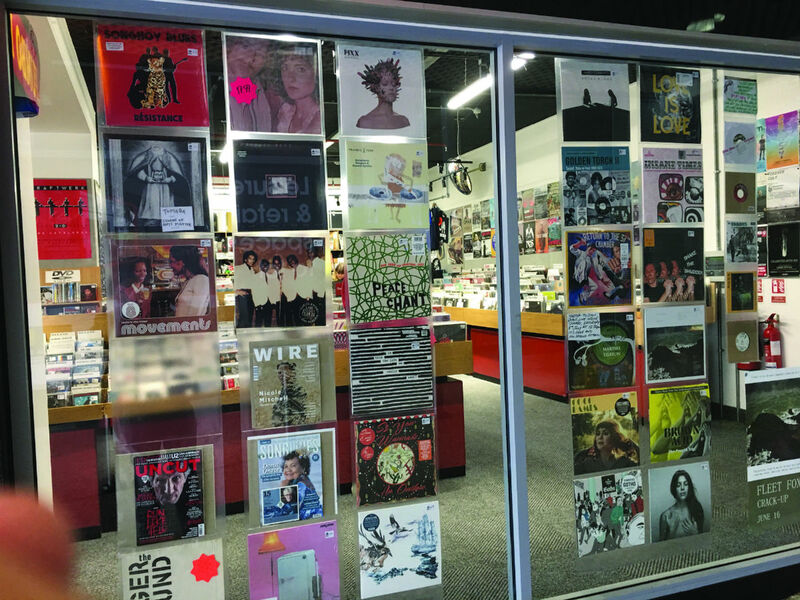 As well as records, you can buy CDs, DVDs, merchandise, books and magazines, and this major indie – the largest in Yorkshire – prides itself on its range. As the major ticket provider for smaller gigs in the region, there’s a steady stream of musicians popping in and out and a lively social-media output, making this a friendly, buzzy place to pick up a new release. Here, I picked up a copy of The Hollies’ Shake With The Hollies, containing interviews and some live recordings from the band’s first flush of success. This is a good example of the recent vinyl phenomenon – a bootleg that isn’t. The sound quality of these off-air recordings is a bit suspect, but the razor-sharp harmonies punch through the hiss. It’s a great collection. Elliot Smaje just can’t stay away from record retailing. After starting out in 1986 selling vinyl and books on market stalls, he ended up running a record store in Huddersfield for years, before the recession at the start of this decade took its toll and Elliot decided enough was enough. “I was really certain that I’d never sell another record again,” he tells me. 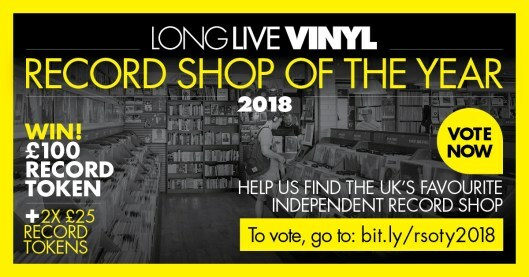 But a chance social-media conversation after a year or so led to him supporting a small vinyl concession in Harrogate and, within months, the bug had bitten hard once more. 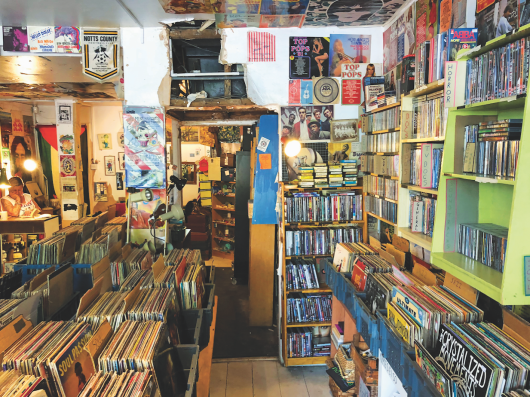 In 2015, Wall Of Sound opened up in the basement of Crash Records and Elliot’s once again chained to the counter, cleaning and pricing up stock, while selling a fair bit, too. “Business is good,” he says. 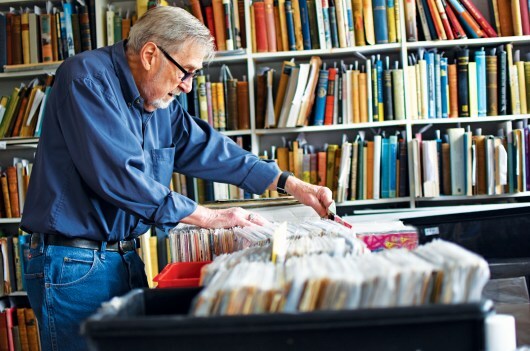 “The return of mainstream vinyl sales has truly arrived and I can’t get enough Springsteen records to sell, to be honest.” With a good range of jazz and classical, as well as pop and rock, this is a store where the piles of discs never seem to end. Elliot travels far and wide to secure new stock, and recounts a 965-mile round trip to Skye to clear out a former pub packed full of old records. “There’s been a lot of new stuff coming in recently,” he says. “The place is a little rammed, but it soon shifts.” Along with some interesting books and rock memorabilia, I pick up some great singles. Elliot says it’s the students who keep the city as vibrant as it is. “Their enthusiasm for some of this stuff is really infectious,” he says. People like Elliot have a fair bit to do with it, too. My final purchase of the trip is a near-mint copy of a promotional Judy Garland single, It’s Lovely To Be Back In London, complete with press flyer, to celebrate her residency at the Dominion Theatre in London, 1957. Now this is a welcome: “Would you like a cup of tea?” is almost the first thing I’m asked as I enter the not-yet-one-year-old store, tucked up in one of Leeds’s nicest areas: Great George Street. 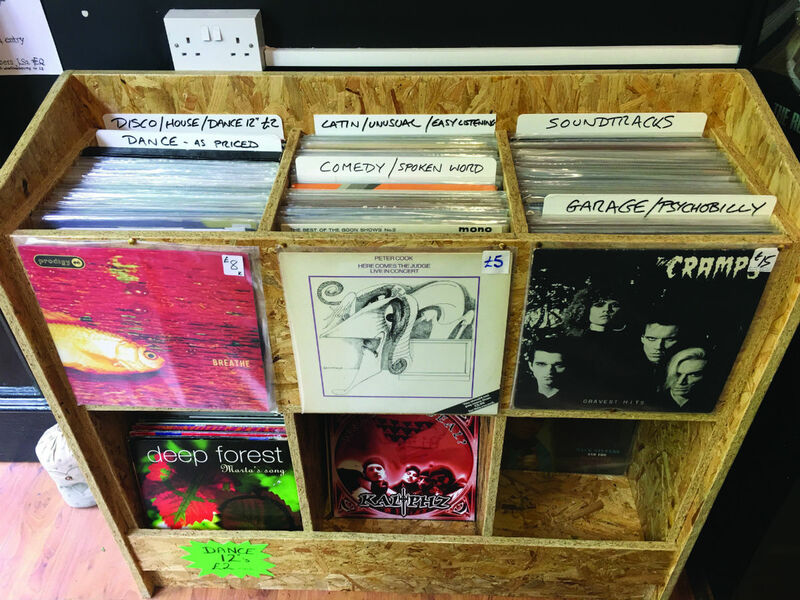 It’s owned by Chris Coulthard, a guitarist with Jaded Eyes who’s well known on the city’s gigging circuit, and spent years working at record fairs before deciding to find a permanent premises to set up shop at the start of 2017. Great George Street is one of the city’s hidden gems, bursting with interesting coffee shops (where I also found a copy of Blancmange’s Happy Families LP on a handsome picture disc for sale). 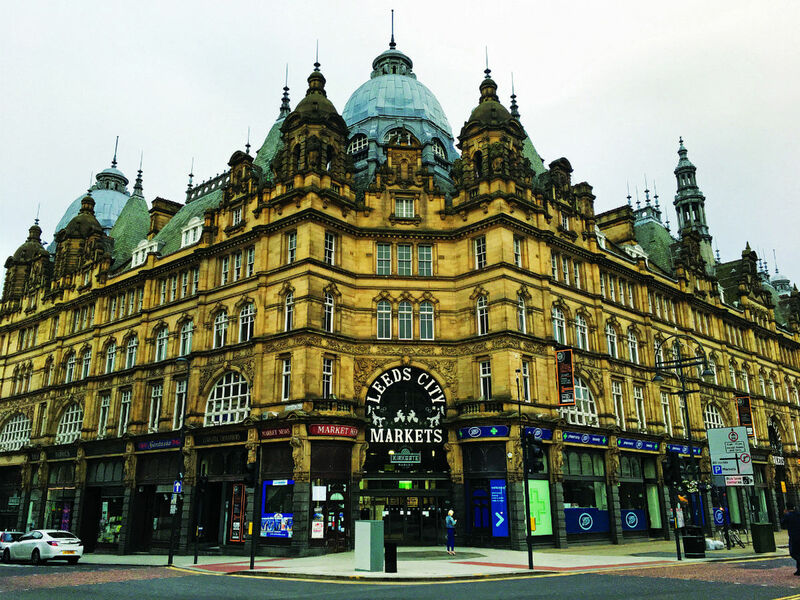 Kirkgate Market houses more than 800 stalls and is officially the largest covered market in Europe. This grand Victorian structure is certainly impressive, but the vinyl pickings are thin on my visit. Too Damn Loud!, a family business trading for 40 years, sells mainly CDs and DVDs and the limited racks of vinyl weren’t cheap (even I would struggle with paying more than a quid or two for a Showaddywaddy LP) but, ever determined to do my bit, I pick up a 12″ from the King Of Soul. Alexander O’Neal’s In The Middle barely made the Top 40 in 1993, but I always liked its sturdy swingbeat swagger, so into the record bag it goes. Now, Marks & Spencer started life here, so I guess this is a place to keep an eye on, as new stalls do pop up from time to time. There is a large general market on most days just outside (I’m told Thursday is the best one for vinyl) and a monthly vintage market. 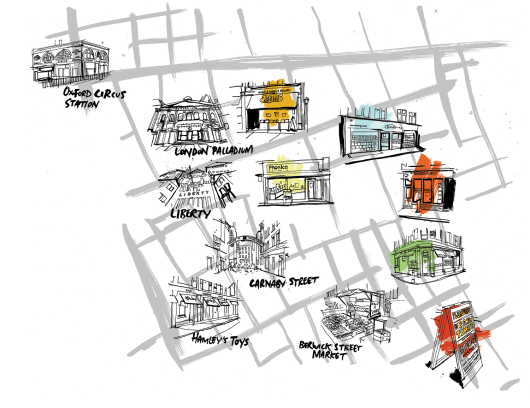 Check the Kirkgate Market site for the details. Indie mail-order specialists Norman Records have their base in the city but, although they’re a friendly bunch, their warehouse isn’t really set up for large-scale browsing. Give them a call on 0113 2454399 or check in on their website if you want to say hello. Like most cities, there’s an abundance of charity shops in Leeds. I found pickings surprisingly plentiful, so would definitely spend some time on that. Plus, try to time your trip with one of the record fairs. They get very good press. 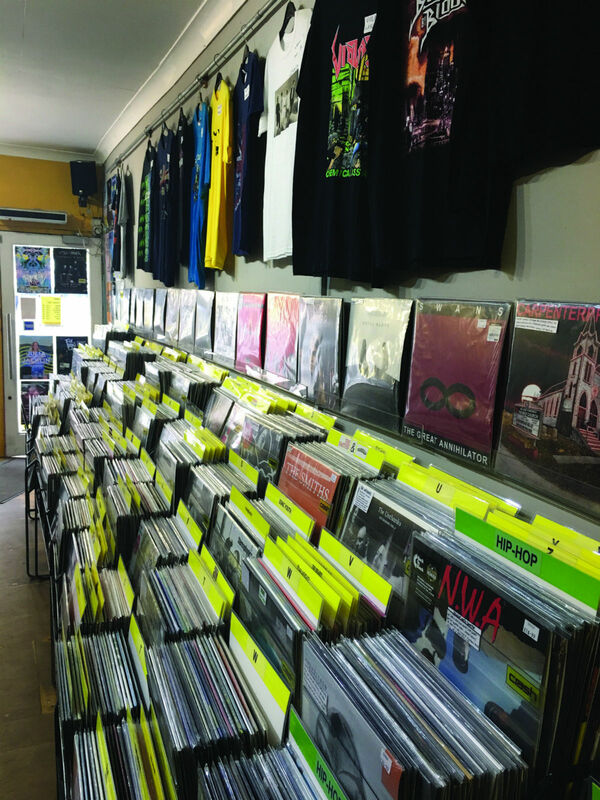 Vinyl Fixx, in the nearby suburb of Armley, is a bus ride from the city centre and appears worth a look. I ran out of time in Leeds, even with 36 hours in the city, but other traders spoke highly of owner Ian Brookes’ reputation around the local fairs. He buys a lot of stock and you can follow him on Twitter . They know a decent blend in Leeds. SingleShot was great, but make sure you visit The Union Coffee House in Great George Street for a phenomenal flat white, too. They also sell a few second-hand records! Leeds railway station is the third-busiest in the UK outside London, so services are frequent and come in from all directions. Trains from London take about two hours with Virgin, but prices can be steep if you don’t book in advance. Parking is reasonable here, but most of the shops will be a bit of a walk from the car. Get to the city early and you might just about cover them all in a single day, but a leisurely overnight visit would give you time to catch the market and head out to the suburbs.